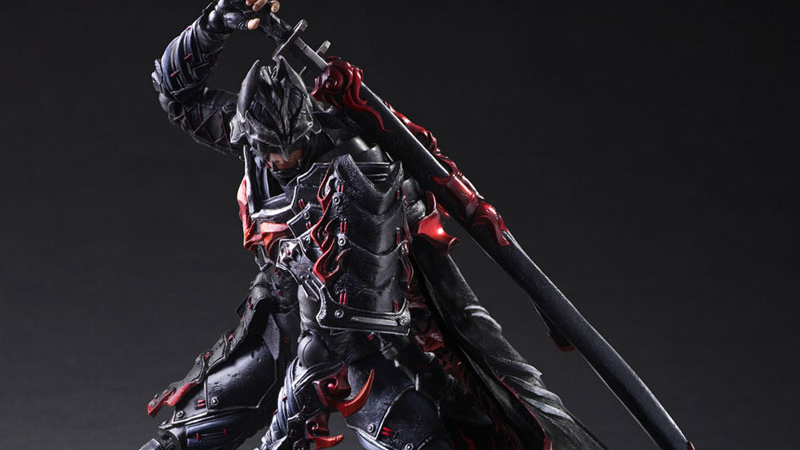 Batman has been a lot of absurd things to Square-Enix’s Play Arts Kai toy line—cowboy, steampunk internet fever dream, unholy draconic Final Fantasy abomination, and yes, sometimes just plain old Batman. This latest figure is a little less plain and a little more joyously crazy: Samurai Batman is finally a thing once more. Bushido Batman is the latest 11-inch tall figure in Square-Enix’s “Timeless” collection which re-imagines Batman in various time periods. Like, you know, the H.R. Giger-inspired Samurai Age, a totally real thing. 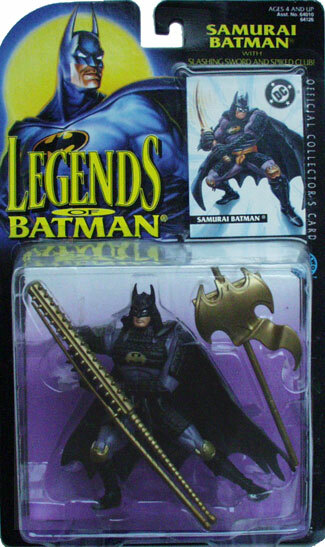 Obviously, this one is a call back to the old days of feudal Japan—which has been a popular source of East-meets-West mashups in toys lately—with Batman getting some absurdly spiky samurai armor to replace his usual supersuit. As well as being a figure with enough sharp edges to take someone’s eye out, Bushido Bats comes with two swords (and sheathes to put them in), a grappling hook, and multiple hands with which to pose him stabbing the ever-loving crap out of people. Aside from the hilariously angular cape, this is a surprisingly restrained entry in Play Arts Kai’s usually increasingly-absurd alt-takes on pop culture characters. Honestly, it works for it, straddling the right line between goofy and too over-the-top that it makes for a cool looking figure. Less cool is the price: turns out there’s both a Batman tax and a Samurai tax. Bushido Batman will be out in June in Japan, where it will cost a whopping 19,800 yen... around $175. Considering these are usually about $100, that’s where the ridiculousness comes in.